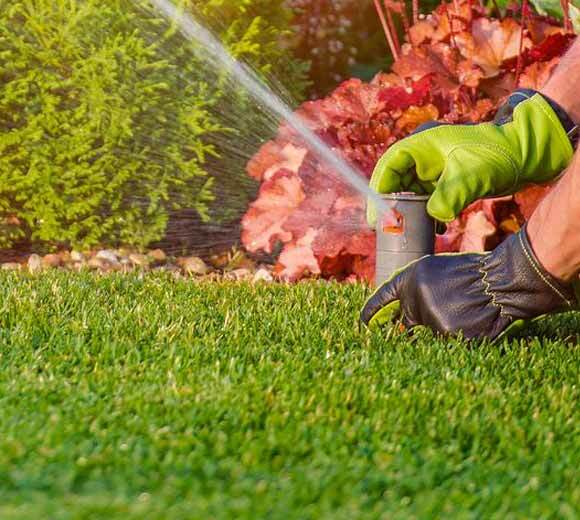 For many homeowners of today, the benefits of automated sprinkler systems are plentiful, particularly if one is doing their best to ensure that their lawn’s sod takes root during the springtime gardening season. Without precision, a lot of things can go awry. That’s why we need the right technology on our side year-round. These highly-evolved technological systems also aid in maintaining your lawn’s vibrancy during the summer, when heat can too easily make us forgetful and lazy, while at the same time browning our greenery at an accelerated rate. Lawns, especially large ones, are notoriously difficult to keep perfectly healthy without the proper irrigation system in place. While gardening can easily be one’s favourite pastime, on a hot day, it can quickly become apparent that this so-called hobby is incredibly intensive and draining on many levels. Manual watering of your lawn is a time-consuming process. Initially, during the springtime gardening period, sod requires thirty minutes to an hour of consistent watering every day to take root. Without an irrigation system in place, this requires an inordinate amount of manpower and time daily, constantly having to physically be on your lawn and water it with a hose, taking care to not miss a spot, or else you’ll risk the turf dying. But with automated sprinklers in place, the job gets done for you, at a time of your choosing, every day without having to worry – indeed, many reliable companies offer technologies that can be precisely timed to equally distribute water to your greenery; additionally, one of the best benefits of these advanced sprinkler systems is that they are calibrated to cover your entire lawn, ensuring the life of your turf. After all, there is nothing more unappealing than a lawn riddled with brown patches. Like all technology, any automated irrigation system must be maintained. Luckily, sprinkler irrigation system repair is neither hard nor time consuming. Inspect your sprinkler heads on a regular basis, checking for broken emitters and twisted tubing. Anything that is broken should be replaced, and this can be done manually – either on your own or with the help of the company who initially installed the system, who will conduct the irrigation system maintenance for you. A common feature of sprinkler systems is the ability to monitor your lawn’s temperature without a homeowner having to keep watch. Using advanced technology, one can quickly decide if the climate’s too hot or too cold and thereby compensate by watering less or more. This will ensure your lawn is always green, as having to constantly decide how much to water your lawn is unreliable and difficult. Being able to precisely regulate the exact temperature of your lawn can also help you to fertilize it at the perfect time. Not every part of a lawn receives the same amount of sunlight daily. Depending on the location, some parts of your property can be shaded by fences, bushes and house walls. These parts naturally need less water, and watering too much can be a death sentence for your lawn. Sprinkler systems, however, know just how much to water. They are equipped to monitor both shade and sun, and will disperse water to suit every individual patch’s needs, ensuring that everything is equally watered, and saving owners exorbitant guesswork and unnecessary hours of labour – with this little effort involved, it’s almost as though one’s property were naturally vibrant. Indeed, having the greenery of one’s dreams is a lot easier than it used to be.